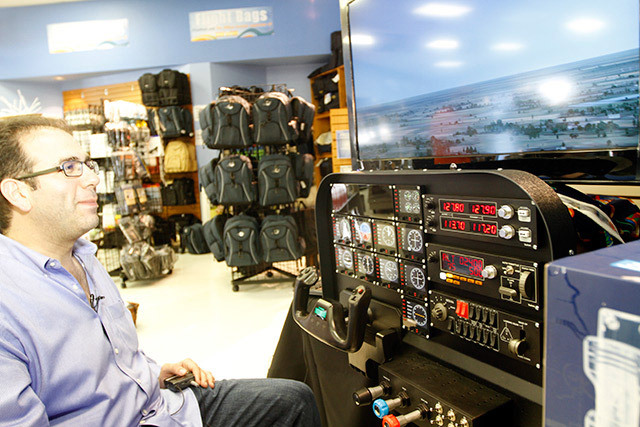 Pilot Mall President Neil Glazer plans to certify the Flight Training Cockpit—Advanced Panel as a basic aviation training device. Pilot Mall on April 9 rolled out its entry into the aviation training and flight simulation market: a simulator instrument panel that can be customized with a variety of Saitek computer-driven instruments and controls for in-home realism. 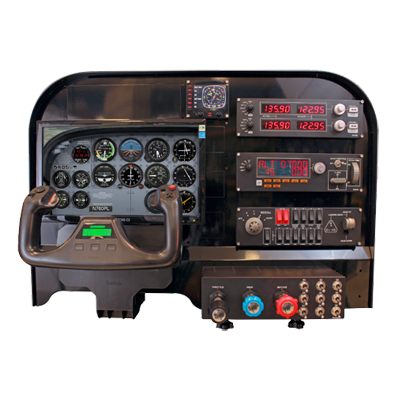 Pilot Mall President Neil Glazer said the $395 panel—on sale for $295 at the Sun ’n Fun International Fly-In & Expo—allows users to mix and match instruments and controls to create a wide range of cockpits. 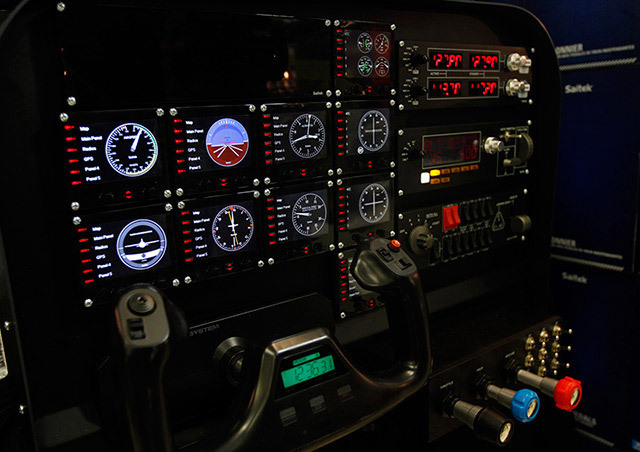 Glazer said the modules, most priced around $130, can be assembled into a full IFR panel with annunciator panel, autopilot, yoke and rudder pedals, and engine controls for around $2,100 at the show, or $2,500 at regular price. The components can be purchased separately, or delivered fully assembled as a group in a panel designed to mount on a tabletop or desk. The required computer, flight simulation program, and monitor are sold separately. The Saitek components are designed to work with Microsoft Flight Simulator X out of the box, or X-Plane with installation of additional drivers. “We see this as a platform that we can build upon,” Glazer said, noting there are plans to develop a glass cockpit version, and paperwork will be filed in May for FAA certification as a basic flight training device. Pilot Mall created the panel, and Saitek created the instruments and other modules that can be mixed and matched. The system is on sale at a discount at Sun ’n Fun.